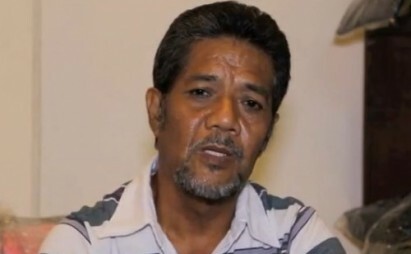 Now 60 years old and doing business at a market in Manila, Francisco “Kiko” Luneta of Batangas City can still vividly recall how he and his six siblings – Maxima, Romeo, Jose, Domingo, Franco, and Ernesto – were tortured by the military starting in 1974. Their youngest brother, Ernesto, suffered the most, according to Francisco. After his torturers threw him in a pool, Ernesto tried to commit suicide by gulping water and drowning himself. “Ayaw na n’yang umahon. Gusto na niyang mamatay kasi di n’ya na kaya ang torture [He didn’t want to get out of the pool anymore. He wanted to die because he could no longer endure the torture],” says Francisco, who began having a hearing problem after his tormentors repeatedly knocked his ears and head until his eardrums broke.